The Navy awarded Newport News Shipbuilding $25.5 million to begin advance fabrication of aircraft carrier Enterprise (CVN-80). After beginning advance construction planning activities last spring, initial structure fabrication and shop work on the third Ford-class carrier should last through March 2018, the company announced in a statement. “This award authorizes us to begin fabrication of structural components, sub-components, sub-units and pre-assemblies in our manufacturing shops to support the 2018 construction of Enterprise,” Mike Shawcross, Newport News’ vice president of CVN-79 and CVN-80 construction, said in the statement. The Navy awarded Newport News Shipbuilding a $152-miliion contract in May 2016 to begin advance planning activities, and this week’s money was added as a contract modification. Construction on Enterprise should begin in 2018, and the ship is expected to deliver to the Navy in 2027. 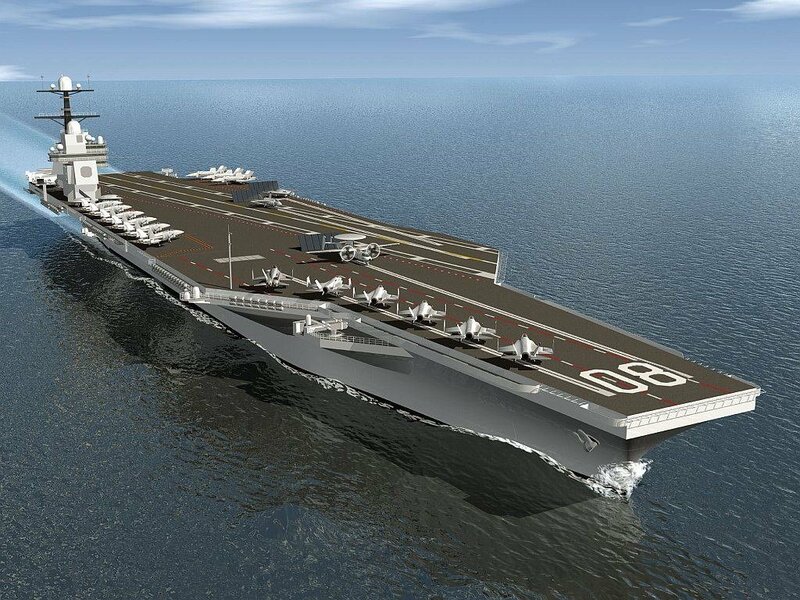 Enterprise will replace the USS Dwight D. Eisenhower (CVN-69) upon entering the fleet. In an early example of implementing lessons learned, the shipyard moved a 704-metric ton unit into John F. Kennedy’s dry dock as part of a unique “superlift” event. “The superlift is part of an improved build strategy implemented on the second ship of the Gerald R. Ford (CVN-78) class, resulting in superlifts erected at a higher state of outfitting completion,” the company said in a Jan. 23 news release. CVN-79 is about 25 percent complete and set for deliver in 2022, when it will replace USS Nimitz (CVN-68). The ship is on tract to be completed with 445 lifts, which is 51 fewer than Ford and 149 fewer than USS George H.W. Bush (CVN-77), the last Nimitz-class carrier, according to a company statement.